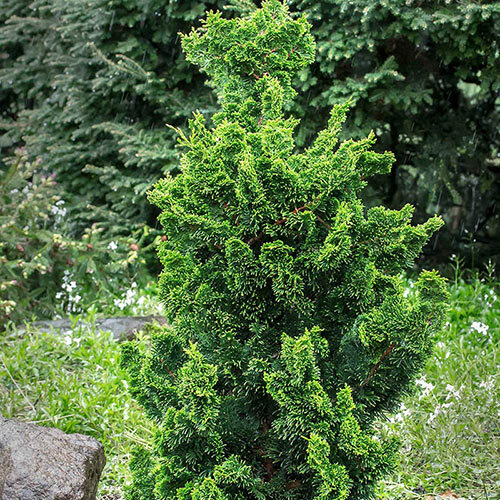 The easy way to add artistic flair to your garden, Hinoki Cypris makes a unique sculptural feature. 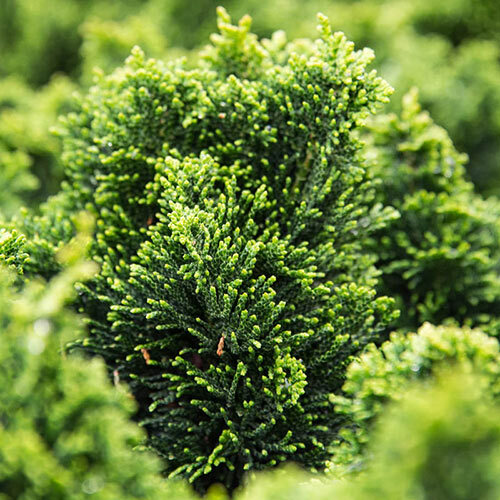 It grows slowly to a compact mature height, with a narrow, upright habit. It's easy-care and durable. You could grow it in a patio pot, or add it into a garden border. A great feature for modern, contemplative landscape designs, especially those based on Japanese design principles.